Give thanks this Thanksgiving and cultivate an attitude of gratitude in the home with a thankful tree. 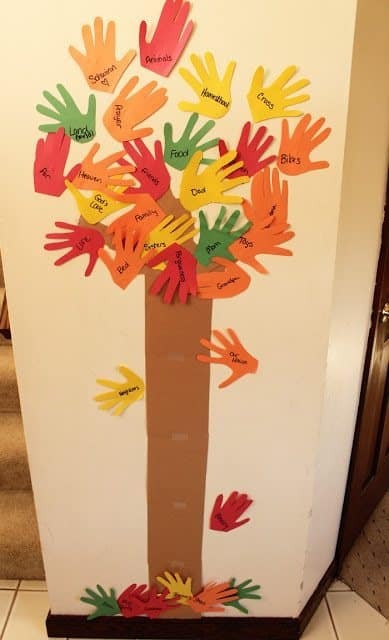 Invite friends and family to share what they are most thankful for on a Thanksgiving thankful tree centerpiece for the Thanksgiving holiday. Create a new thankful tree tradition in your home–Make and decorate a DIY thankful tree for Thanksgiving this year! There are many ways to design and use a thankful tree. The one thing that all types of Thanksgiving trees have in common is cultivating an attitude of gratitude in the home during the holidays. 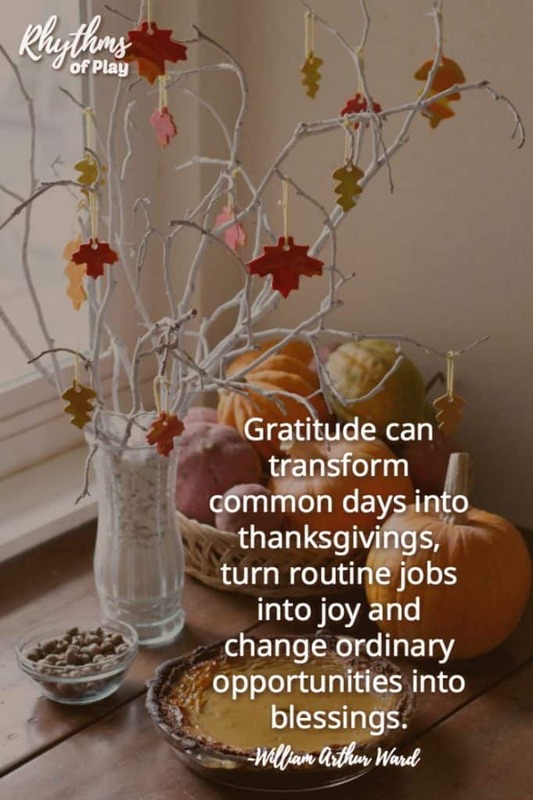 Give thanks and cultivate an attitude of gratitude, in the home, during the holidays with a Thanksgiving thankful tree. A Thanksgiving thankful tree can be used as a Thanksgiving advent, or as a centerpiece. Simply invite family and friends to write what they are most thankful for on an ornament, and place it on the tree to decorate it. 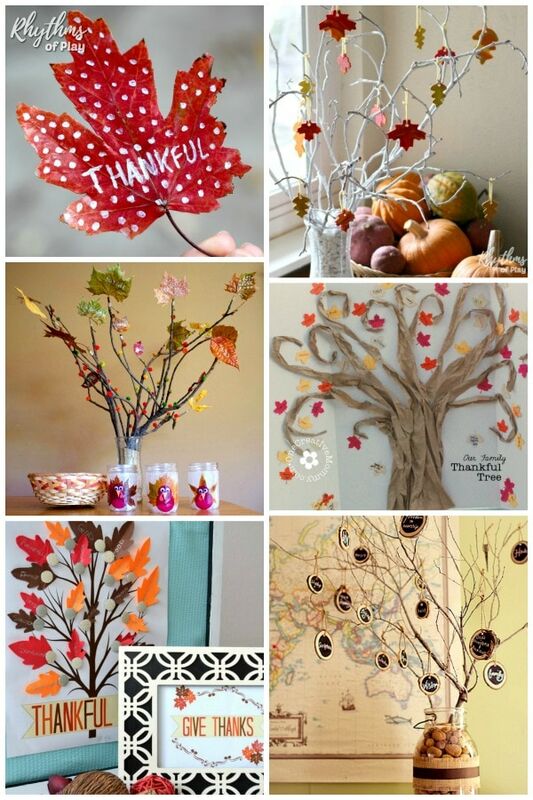 There are many ways to create a thankful tree and many items that can be used to as ornaments. Making and decorating one is a Thanksgiving tradition the whole family can enjoy. As a bonus, they make lovely autumn DIY home decor and are a beautiful centerpiece on any Thanksgiving table. If you would like to use your thankful tree as a Thanksgiving advent, put your tree up before Thanksgiving. Simply write down what you are most thankful on one ornament per day, and hang it on your thankful tree. Invite your friends and family to join you! Encourage dinner guests to write what they are most thankful for on ornaments and use them to decorate the thankful tree while they wait for dinner to be served. Use it as a conversation starter and a way to honor the true spirit of Thanksgiving. To give thanks for an abundant harvest! Below you will find a few of my favorite examples from creative and crafty to kid-made. 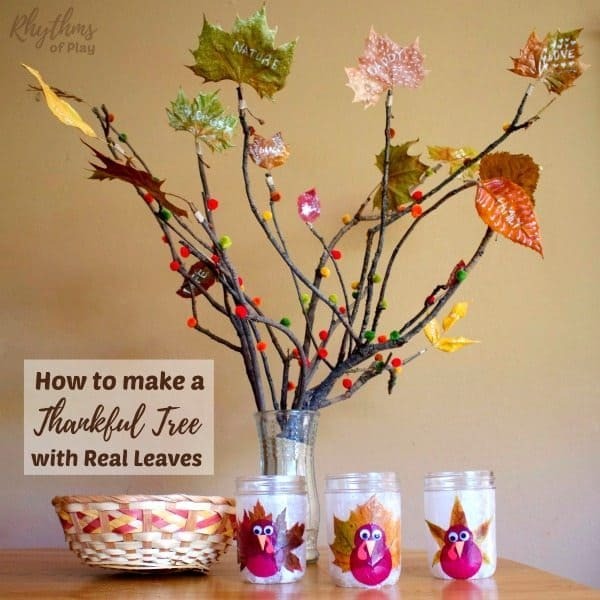 You can even make a thankful tree with real fall leaves! 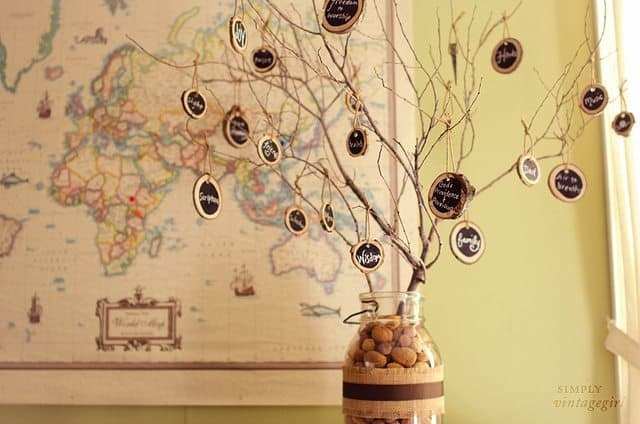 Make and decorate a thankful tree this Thanksgiving to cultivate an attitude of gratitude in the home, and remind your family of the true meaning of Thanksgiving. The thankful tree tradition is a Thanksgiving craft and activity the whole family can enjoy. 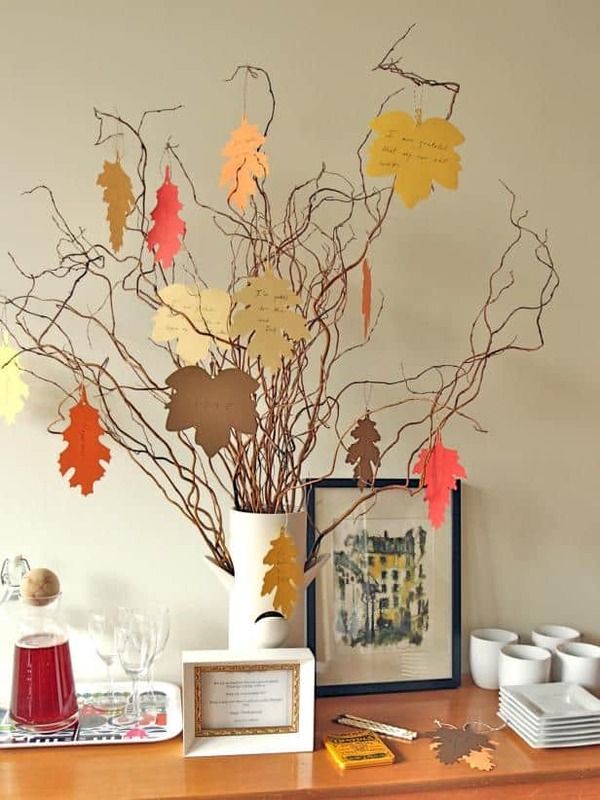 Give thanks this Thanksgiving with DIY thankful tree. 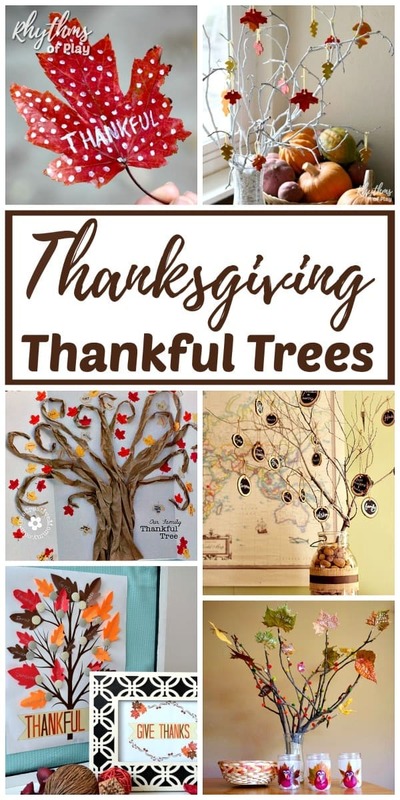 Use any of these easy thankful tree ideas or be inspired to create your own thankful tree for Thanksgiving! This thankful tree is made with bare branches and marbled clay gratitude leaves. This thankful tree for Thanksgiving is made is made with real preserved fall leaves. You can also use artificial leaves . 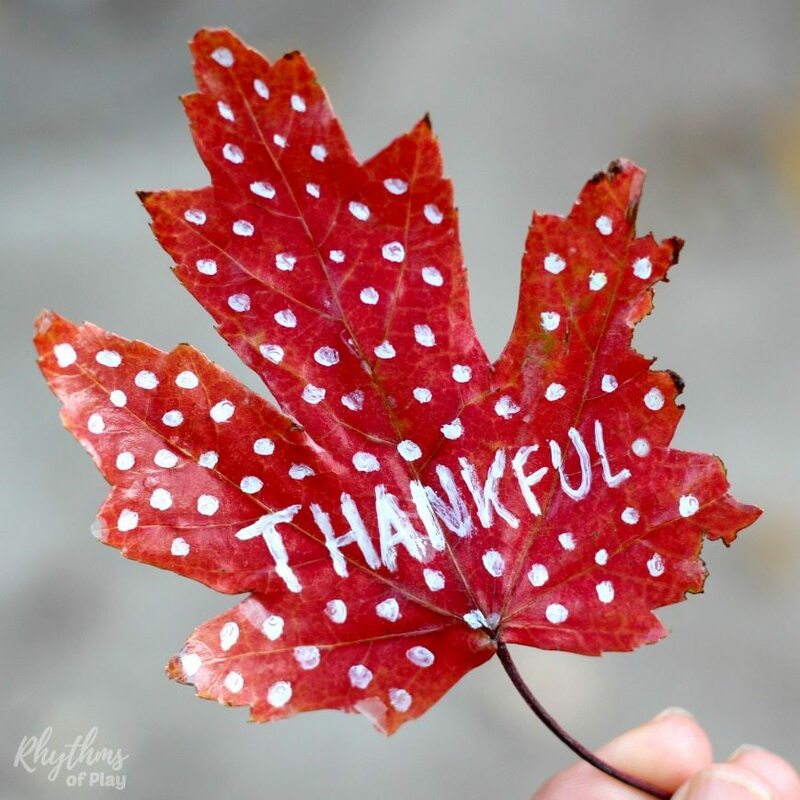 Extra fine tip paint pens make it easy to write what you are grateful for on each leaf before attaching it to your thankful tree. Here’s a gorgeous thankful tree made with bare branches and wood pieces with chalkboard paint . …it is beautiful to see people give thanks, counting how many ways God has blessed them. And for each and everyone of us living and breathing, that list is unending. This tree uses willow branches painted gold and a free printable leaf pattern. 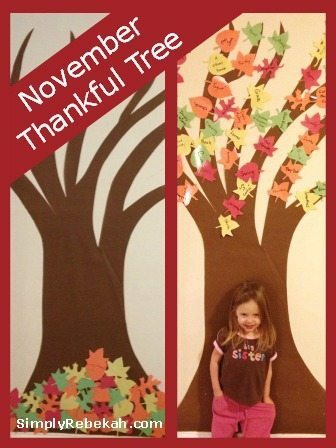 You can also use a Thankful tree display for this project. Here’s a simple thankful tree with paper leaves. 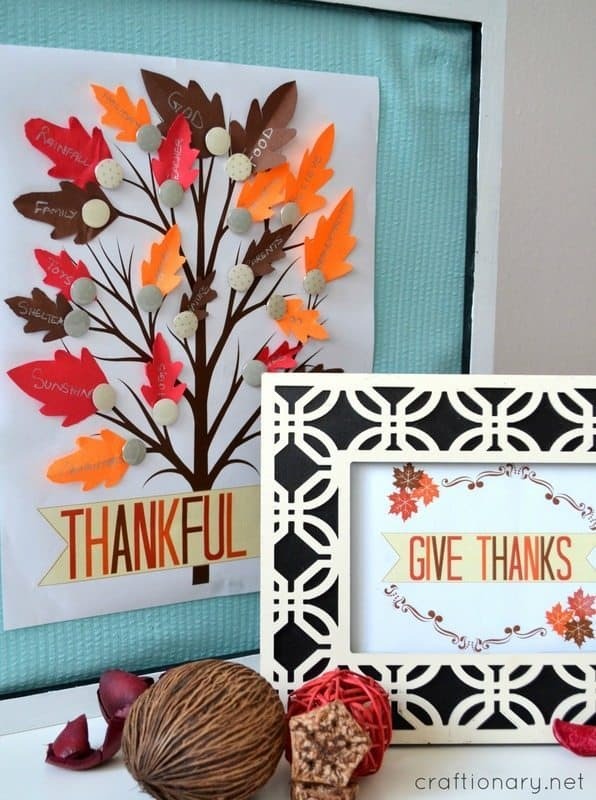 A thankful tree printable with paper leaves. This Thanksgiving tree includes a “Give Thanks” printable. You can also use this thankful tree poster pack ! This tree uses branches with lights and paper maple leaves cut using a large paper punch. 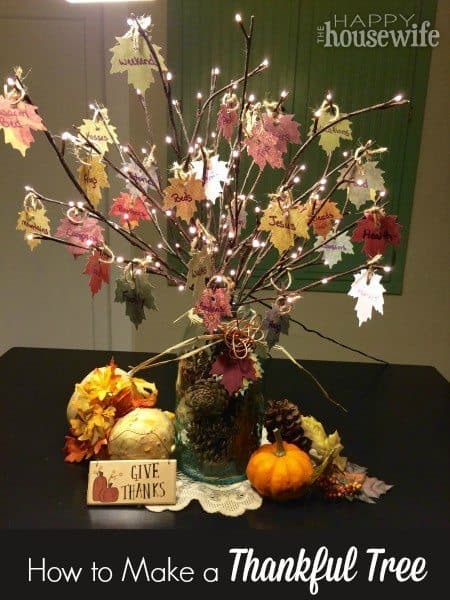 You can also use a lighted maple tree for this thankful tree idea. A thankful tree that uses brown packing paper for the tree and paper maple leaves. Another fun idea is to use a Thanksgiving door kit! This tree uses brown paper for the tree and laminated construction paper for the leaves. You can also use a large tree wall decal ! This simple wall tree uses construction paper to create a tree. Trace your own hands on cardboard paper and you have the leaves to write upon. You can also use a thankful tree poster pack or this bulletin board tree with animals with handprints made out of construction paper! 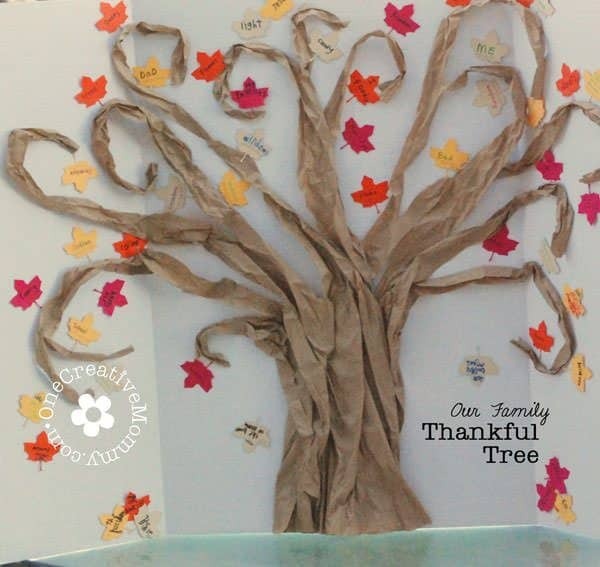 If you don’t feel like making your own thankful tree craft, you can purchase one of these thankful tree kits instead! 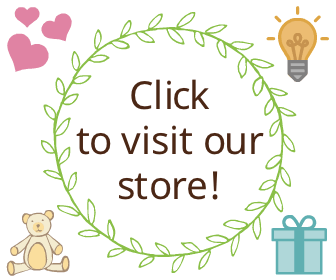 If you click to purchase, we may earn a small commission with no cost to you. A few of the thankful tree ideas below come complete with everything you need, while others you can use in combination with any of the ideas above or the thankful tree ornament ideas below. Use any of these ornaments for your thankful tree this year! Remind your family of the true meaning of Thanksgiving with a thankful tree this year. 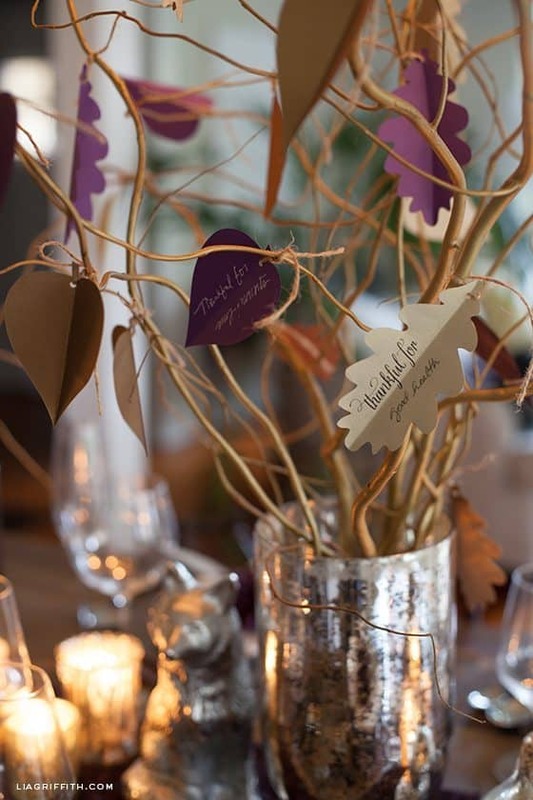 Create a thankful tree for a Thanksgiving advent or Centerpiece for your guests to decorate. They are also a wonderful addition to a fall nature table. 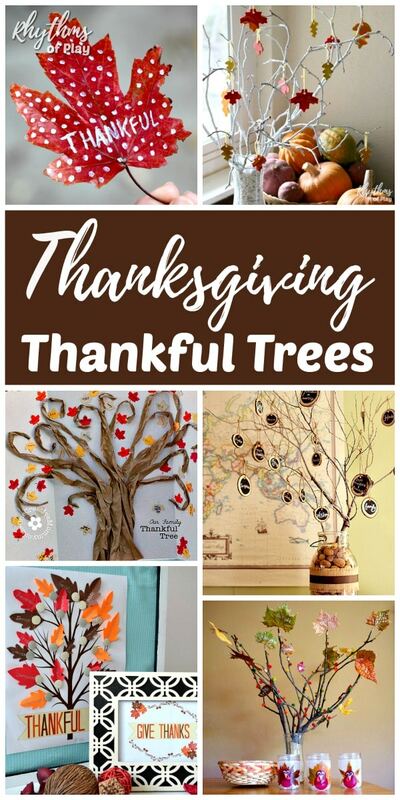 Use any of these easy Thanksgiving tree ideas or be inspired to create your own thankful tree tradition! You may also enjoy 20 Thanksgiving traditions and fun things to do for Thanksgiving, and our fall bucket list seasonal guide for the best autumn ever! My daughter loves to decorate trees so we make one every season. We decorate an Easter tree in the spring, a butterfly tree in the summer, a thankful tree in the autumn, and of course a Christmas tree in the Winter filled with handmade ornaments. Making and decorating seasonal trees is an activity the whole family can enjoy. These are beautiful! Making a thankful tree is one of our traditions this time of year – they’re such a great way to focus on what we’re grateful for! Making a thankful tree is a tradition in our home during this season! Really like the chalkboard tree! It’s a little tradition in our society that will seamlessly transition you from Thanksgiving to Christmas. Nice list…! This is a very helpful article you have shared. I know and get some information about Thankful Trees. I will be using this tree for my next Christmas. Great job and keep it up. Thank you Martha! I’m so glad that you have enjoyed this collection and learning more about Thankful Trees. It would be fun to have a gratitude tree as a Christmas tree. Enjoy!